The Border Patrol says at least 100 people were arrested this week trying to cross into the U.S. illegally through the Del Rio sector. 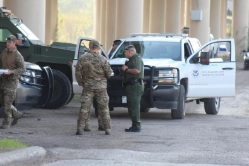 Army soldiers are supporting border personnel in Eagle Pass, Texas. Approximately 1,700 Central American migrants arrived this week in Piedras Negras, across the border from Eagle Pass, Texas. The U.S. military responded by moving about 200 active-duty troops from Arizona to the area to support law enforcement personnel. About 1,300 migrants are from Honduras. About 200 are from El Salvador, and another 200 are from Guatemala. 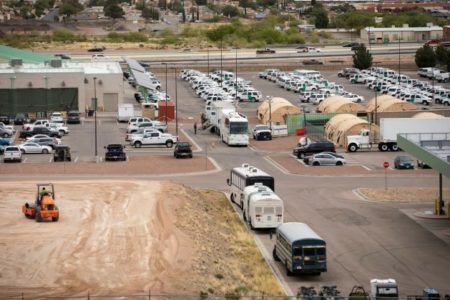 Matthew Hudak, acting patrol chief of the Border Patrol Del Rio Sector, said at least 100 people were arrested trying to cross into the U.S. illegally in this sector since Tuesday. During a news conference Wednesday, law enforcement officials said they were preparing for larger waves of people to attempt to cross the border. 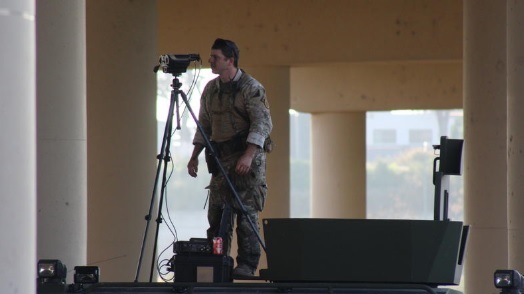 They said they were drilling their personnel and even stopping bridge traffic to conduct the 15-minute exercises. They promised that despite the exercises they will continue to facilitate U.S.-Mexico trade and travel activities. In a statement, a Pentagon spokesperson said U.S. Customs and Border Protection (CBP) requested the troop deployment in response to this latest caravan. They claimed the current system to process border crossings was insufficient, and asylum seekers face a long wait. Paul Del Rincon, Eagle Pass Port Director for CBP, said they can only handle about 16 to 20 asylum applications per day because of the lengthy interviews. Residents in Eagle Pass have noticed the increase in law enforcement presence. American officials are not alone in addressing migrations from Central America. Tekandi Paniagua, the general consul of the Guatemalan Consulate in Del Rio, said desperation drives migrants to make the 1,500-mile journey north. He said the consulate mostly assists Guatemalans halted at the border with obtaining necessary documents, including passports. Paniagua said that as a consulate in Guatemala offering protection to Guatemalans, they try to warn them about a trip that can be extremely dangerous. He also asked the people of Eagle Pass and other border towns to remain calm and patient during this humanitarian situation. Residents said they’ve noticed the intensified presence of law enforcement, particularly Texas state troopers and border patrol officers on horseback. Leslie Rodriguez works in a shopping district and commutes across the border regularly. She said security measures have intensified and wait times to cross have increased dramatically — and that’s already taking a toll on businesses. Rodriguez said the security measures have complicated her own routine border crossings. She said officials now ask her several questions and inspect her bags. Many Eagle Pass residents, including Rodriguez, recognized why the migrants were at the border. 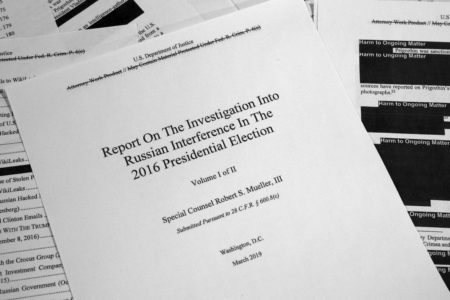 This piece was originally published on http://www.tpr.org/. Joey Palacios can be reached at Joey@TPR.org and on Twitter at @Joeycules. Norma Martinez can be reached at Norma@TPR.org and on Twitter at @NormDog1.